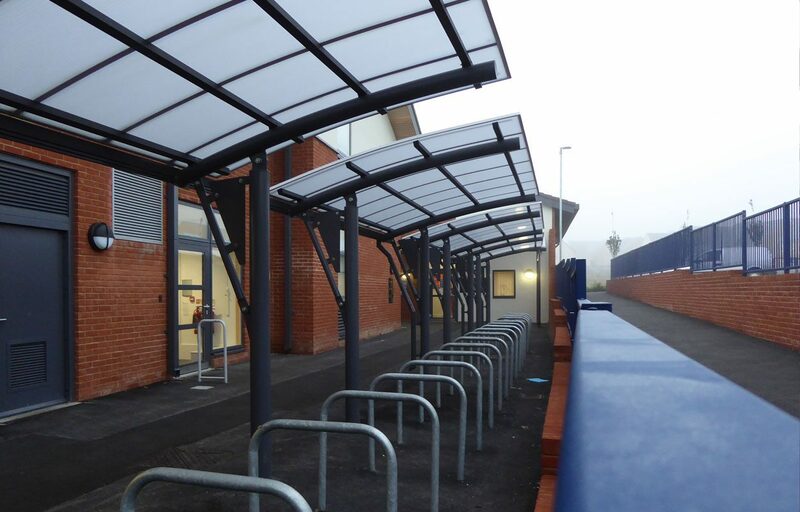 10 cantilever canopies designed and built for Wellington Primary School, a new 420 place primary school in Tidworth. 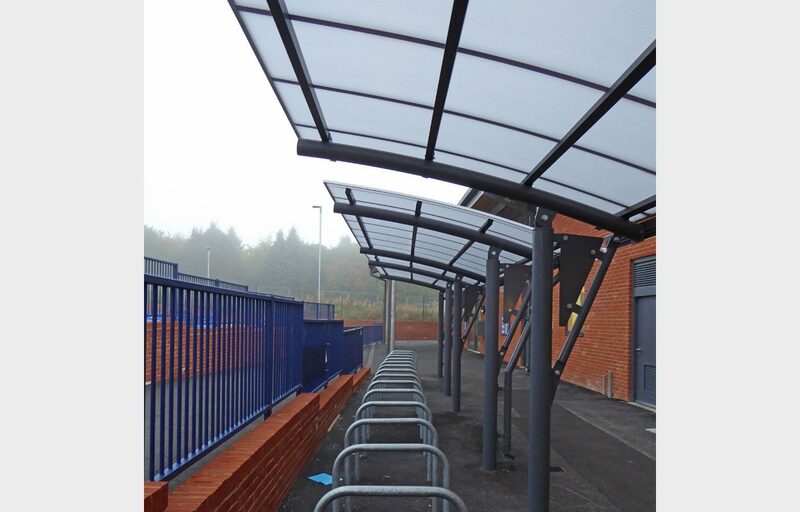 The Wiltshire school, built due to the expansion of family homes in the area, needed several canopies, the majority to provide external cover adjacent to classrooms and the remaining for bicycle shelter to promote sustainable travel for staff and pupils. 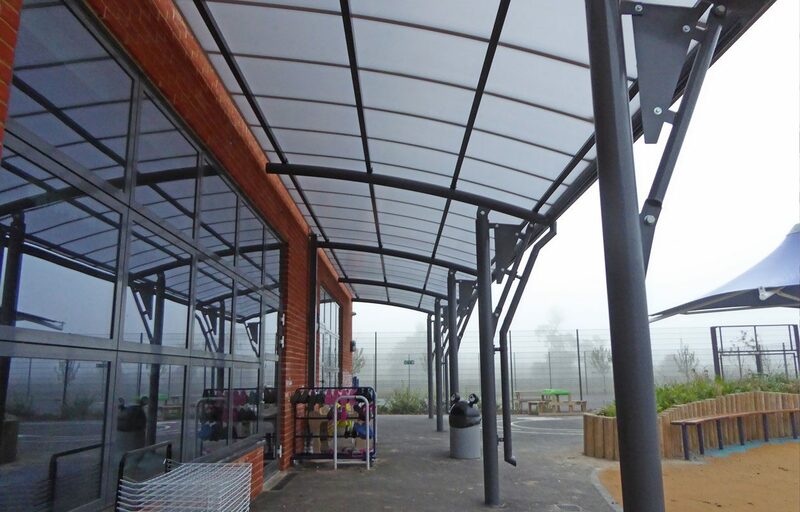 The canopies provide a seamless connection between the external and internal areas of the school. 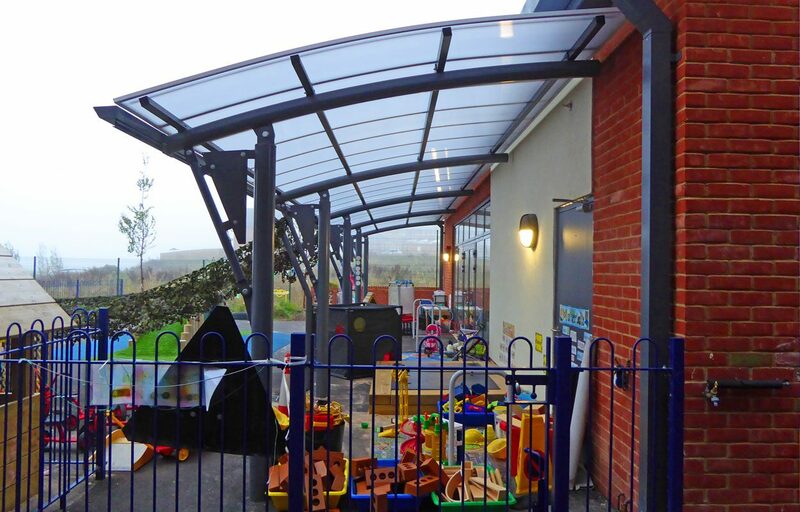 They will also enable an extended syllabus, creating a protected play and study area for children and staff.